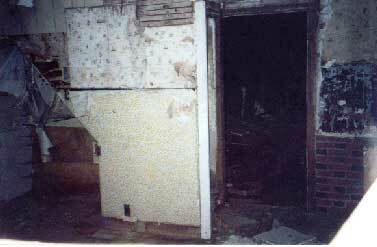 Sara: This is the inside of Bramble House. Blah blah blah blah we've seen the inside of nasty houses before and this is no different. Chris: This looks more like a collage then a picture of "Bramble House's" interior. There appear to be several portals to Narnia on the walls, in the upper left, etc. Casey: This was as far into Bramble House as we could get. I think if we actually got inside, it may have surpassed Kitchen Manor, but alas, all we could see was another kitchen. Or dinette. Or breakfast nook.